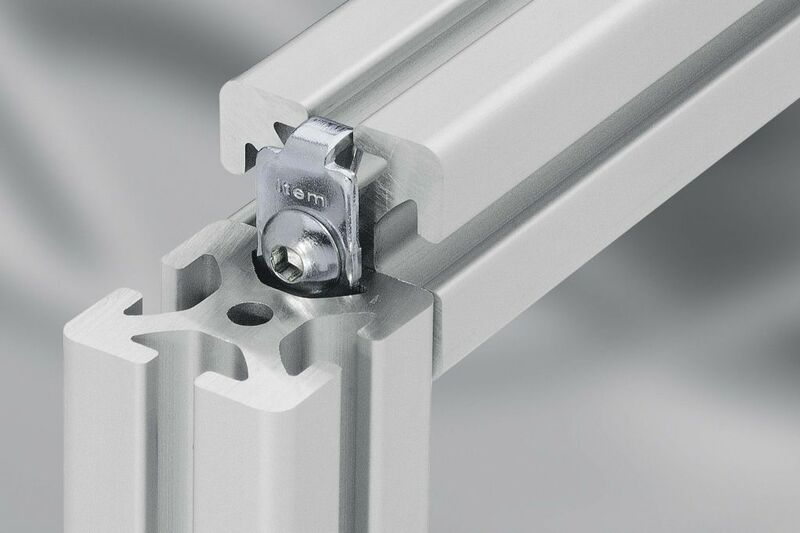 The standard fastener works best as a fixed connection and is a popular choice. It boasts an outstanding resistance to displacement and torsion. The fastener requires only a small amount of drilling and tapping into the profiles, after which time the fastener slides into place and is tightened with a regular Hex key. The profiles can be drilled and tapped in our warehouse before shipping if desired.